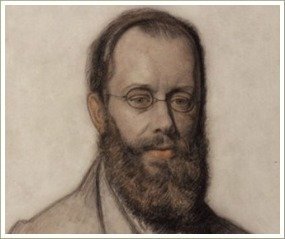 The British poet and painter known for his absurd wit, Edward Lear was born on May 12th 1812 and began his career as an artist at the age of 15. His father, a stockbroker of Danish origins, was sent to debtor’s prison when Lear was thirteen and the young Lear was forced to earn a living (Like young Charles Dickens). From early childhood, he suffered from depression and by the age of six, he was having epileptic fits, an illness he did his best to conceal. Edward Lear quickly gained recognition for his work and in 1832, he was hired by the London Zoological Society to execute illustrations of birds. In the same year, the Earl of Derby invited him to reside at his estate; Lear ended up staying on until 1836. After his return to England, Lear’s travel journals were published in several volumes as The Illustrated Travels of a Landscape Painter. Popular and respected in his day, Lear’s travel books have largely been ignored in the twentieth century. Rather, Lear is remembered for his humorous poems, such as “The Owl and the Pussycat," and as the creator of the form of the modern limerick. A limerick is a humorous poem consisting of five lines. The first, second, and fifth lines must have seven to ten syllables while rhyming and having the same verbal rhythm. The third and fourth lines only have to have five to seven syllables, and have to rhyme with each other and have the same rhythm. Like his younger peer Lewis Carroll, Lear wrote many deeply fantastical poems about imaginary creatures, such as “The Dong with the Luminous Nose.” His books of humorous verse also include Nonsense Songs (1871) and Laughable Lyrics (1877). Lear died in Italy on January 29th 1888 at the age of 76. Although the subject and form of his works varies greatly, all of Lear’s poems can be characterized by his irreverent view of the world; Lear poked fun at everything, including himself in “By Way of a Preface.” Many critics view Lear’s devotion to the ridiculous as a method for dealing with or undermining the all-pervasive orderliness and industriousness of Victorian society. His humour has proved irrefutably timeless. His book of limericks which is called 'A Book of Nonsense' was first published in 1846. It was so popular that two further editions were published during his lifetime. The book is still in print under the title Complete Nonsense. Unlike some modern limericks, Lear’s limericks are almost all truly nonsensical in that there was absolutely no point or message in them. 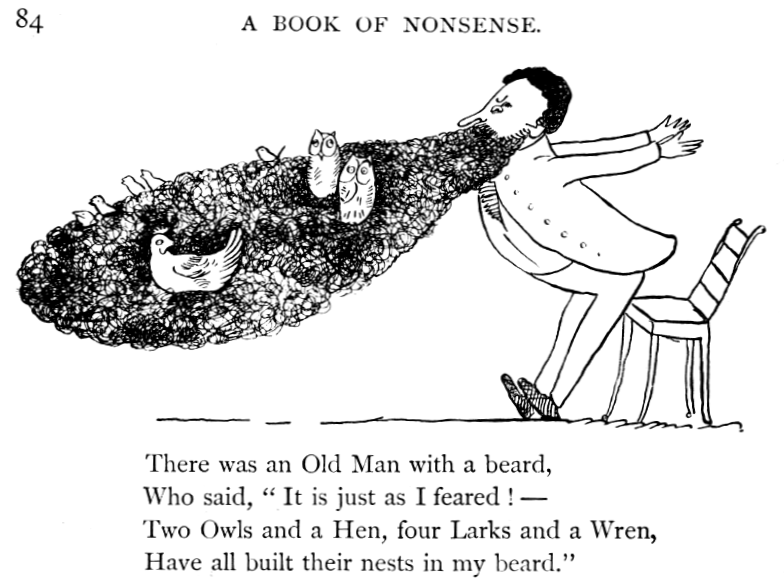 They don’t have punch lines or any of the sometimes very rude humour that we’re used to in so many limericks today.Edward Lear was a true poet who loved the sounds of words, both real and imaginary, and delighted in filling his nonsense poems with words he invented himself. 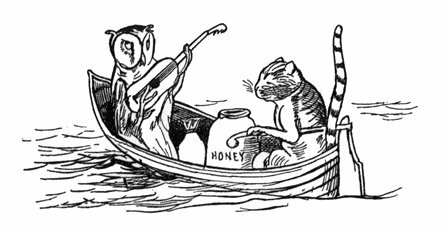 The most memorable and delightful of these is the ‘runcible spoon’ which occurs in the last few lines of The Owl and the Pussycat. The way Lear loved to play with words and the sounds they make and the way he enjoyed inventing new words is exactly the kind of activity young children need in order to develop a skill called phonological awareness. That's why it is also important for ESL students.